Kids at Heart is committed to supporting the community that supports us. Whether it is donating to our neighborhood schools and non-profits, or working with international groups to improve lives globally, we firmly believe it is our duty and privilege to give back. During the Holiday Season, we work closely with two amazing non-profit groups: Friends of Seasonal and Service Workers, and Listos Para Aprender. The former is the recipient of our Giving Tree - the generous donations of our community ensure that under-served children of agricultural workers have a happy and healthy Holiday. The latter is a division of Morrison Child and Family Services, focusing on home-visitation and school-preparedness for families who have children younger than three or are pregnant whose primary language is Spanish or an indigenous language from Central or South America. Our holiday gift-wrapping charge goes 100% to Listos Para Aprender, and this past season we were able to donate over $800. To learn more about these organizations visit: Friends of Seasonal and Service Workers and Listos Para Aprender. In addition to our Holiday giving, we donate products and/or gift certificates all year long to dozens of schools and organizations in our community. If you are seeking donations for your auction or event, please email: community@kidsathearttoys.com. 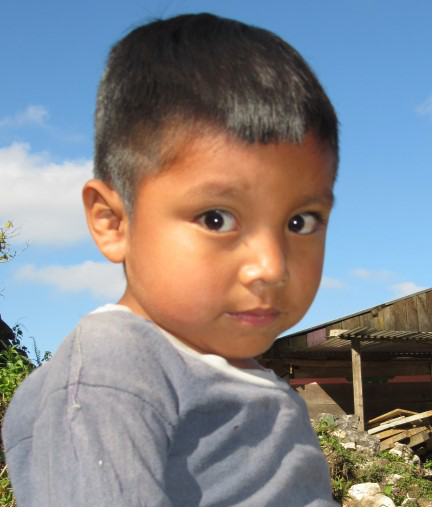 Kids at Heart Toys is a dedicated supporter of Adopt-a-Village Guatemala. Besides supporting their efforts through donations, the owner of Kids at Heart is committed to raising awareness about children in our global culture. In several trips to South America, she has donated toys from the store. We also sponsor specific children for a more personal relationship with this cause. Currently, Genry and Marvin, pictured above, are our sponsored children. They live in the village of Nuevo San Ildefonso with their 14 year old brother and parents. They benefit greatly from the health and education programs Adopt-a-Village has established in their village. We are thankful to our customers for giving us this ability to support deserving children!